The replica is currently undergoing repairs and maintenance at a boatyard in Portland Harbor. NEW LONDON, Conn. — A state auditor is planning to review the finances of the troubled organization that owns the replica schooner Amistad, which has received $8 million in state funding. Amistad America lost its nonprofit status after failing to file federal tax returns for three years and the ship is currently in Maine, where it is operated by a sail-training organization. John Geragosian, an auditor of public accounts, told The Day of New London he will look at the financing of Amistad America as part of a broader, periodic review of the agency. State Rep. Diana Urban, a North Stonington Democrat, has been pressing the Department of Economic and Community Development for a detailed accounting of how Amistad America has spent $8 million in state funds. 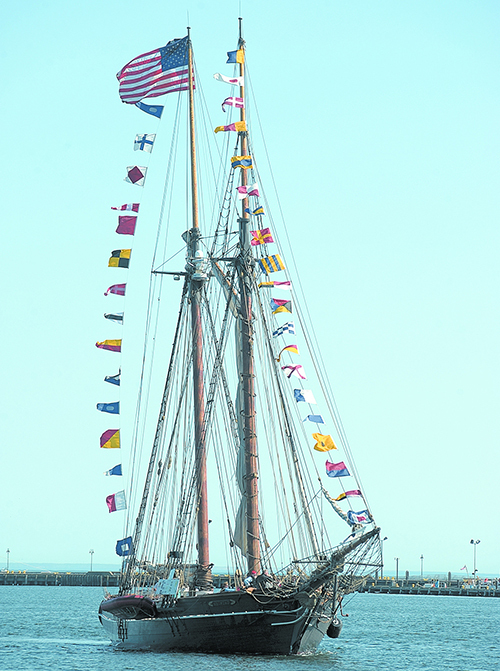 The executive director of Amistad America, Greg Belanger, has said the group spent the state’s money wisely. And the DECD has said the organization is pursuing involvement in projects that could help turn around its finances. The partnerships include a plan to use the ship in filming an NBC miniseries this year about the pirate Blackbeard in Puerto Rico. The replica ship, launched in 2000, was built to help educate the public about the civil rights struggle of the slaves who took control of the original Amistad in 1839. The replica is currently leased to Damariscotta, Maine-based Ocean Classroom Foundation, a sail training organization, and is undergoing repairs and maintenance at Gowen Marine on Commercial Street in Portland.